Data entry in EDGE often requires a task code to be chosen. 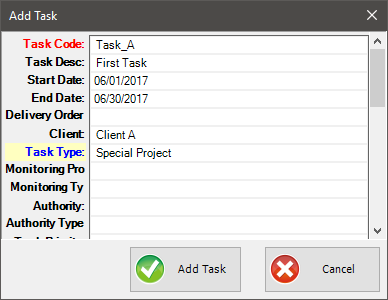 Select and manage task codes using the Task Chooser. 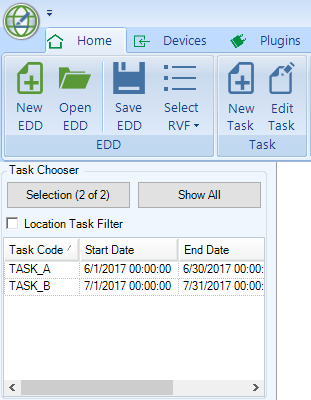 1.If there are no tasks defined in the EDD, click Add in the Task Chooser. You may also create a new task by going to the Home ribbon and clicking New Task. 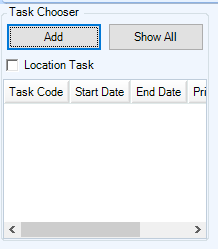 To select an existing task, click on the Task in the Task Chooser. The selected task will be highlighted. When a task is selected, data may be entered in a number of other EDGE tabs (sampling data, inspection items, etc.). 1.Click Selection on the Task Chooser to pull up a total list of task codes in the EDD. From there, select which tasks you would like to have visible in the Task Chooser. If the EDGE field EDD is exported with data from the Sample Planning Module (SPM) using the EDGE Field EDD, locations may have samples or activities planned for them under specified task codes. 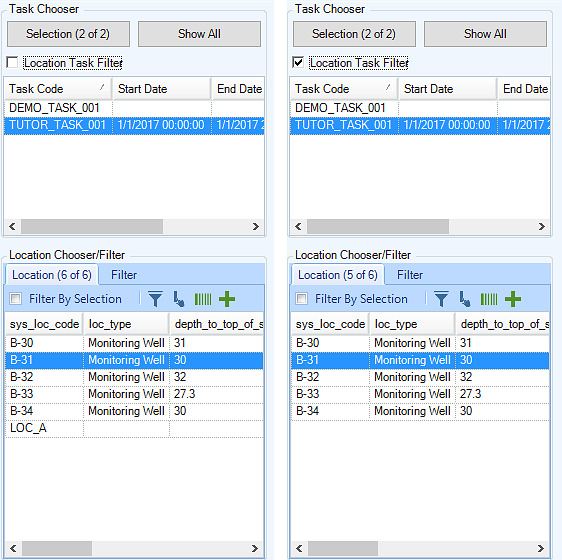 In these EDDs, checking Location Task Filter and selecting a task code will filter the Location Chooser's list to display locations tied to that task.